Should being the best version of yourself be your ultimate goal? Amazon.com’s Jeff Bezos has been taken to task over a recent article that appeared in the New York Times. A follow up article on August 18th h suggests a brewing debate over work culture. In my view it’s long overdue. The seemingly never-ending quest for the highest efficiency is seductive for any leader of any business. That makes sense from a strategic perspective, right? ‘Optimizing Everything’ (perhaps that should be the title of Mr. Bezos’ next book). The drive for efficiency and optimization transcends business and has entered our personal lives with tracking devices meant to monitor one’s health and physical activity. Monitoring your health and fitness is of course all in the interest of helping you improve your performance. It does not end there since for example, continuing education and learning surely adds to your ability to be effective. Eating and drinking the right food and drink are other ways in which personal performance can be improved. Outliers are the kinds of people that truly drive the human condition to higher performance and heights. 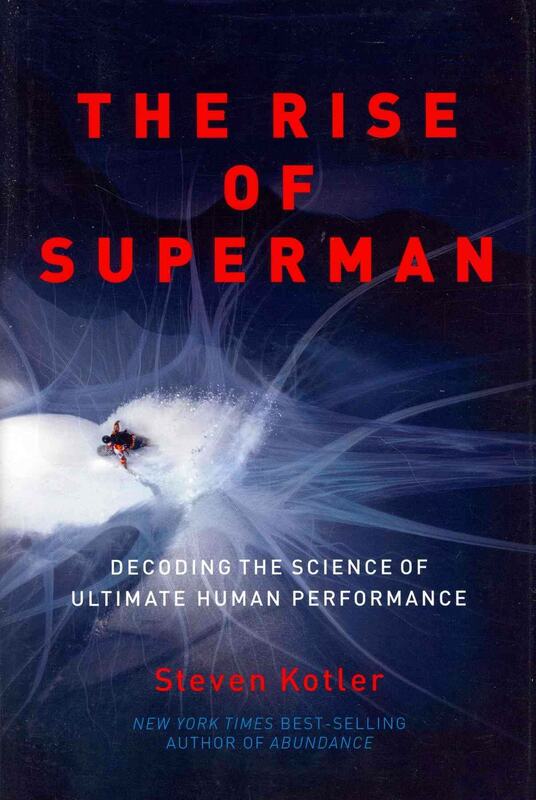 In Steven Kottler’s interesting book “ The Rise of Superman” among other things he explores the thoughts and habits of people that ‘push the envelope’ above and beyond where it has been before. Clearly human achievement advances in large part not from the masses but from these outliers. It also must be understood that MOST people do not fit the category of ‘Superman’. And there’s nothing wrong with that! This brings me to my question – how far will non-‘Supermen’, (Superpeople just does not work) people be willing to go to create the best or even Super-version of themselves? The answer is it depends on the person. Individuals need not be concerned with their own place in the pursuit of their optimal selves. The Outliers always help define what is in the middle. Amazon’s work culture appears to be hyper-competitive and the weeding out reminiscent of Jack Welch’s ‘fire the bottom 10%’. In an environment of continual performance optimization Amazon’s pushing of the envelope is not surprising and not necessarily altogether wrong. That hyper-competitive environment is not for everyone and when employees are hired at Amazon.com surely they are aware of that into which they are buying. What Mr. Bezos and his compatriots cannot do is have it both ways. Amazon.com cannot be the hard-driving, high-stakes company it has demonstrated it prefers AND be warm and fuzzy and a wonderful place to work where everybody holds hands, gets amazing compensation and perks, and employees also have substantial flexibility on how, when and on what they work. Amazon can try to come back to the middle a bit from its Outlier position as sometimes too much is….just too much. Being the best version of yourself you can achieve is a good overarching goal. It’s also exhausting! This entry was posted in Best business practices, Personal Development, Professional Development and tagged Amazon workplace, Jeff Bezos, Outliers, Steven Kottler, The Rise of Superman. Bookmark the permalink. 2 Responses to Should being the best version of yourself be your ultimate goal? Searching for “Superman” has a lot do with current insecurities. Look around you — the economy is global. Millions of highly qualified people are after your job. There is a desperate need to be not necessarily the best, but special in some way that makes you irreplaceable. Personally, I couldn’t work at Amazon — not that they would want me, anyway. But companies like Amazon can manipulate you into overworking through double messages: 1) They’re special, elitist. Therefore, you should be grateful to be among the Chosen to work there. 2) Little ol’ you are lucky to be working, period. Gratitude leads to obsession with staying marketable. People are afraid — at least I am — of accepting their limitations. “People are afraid of accepting their limitations”. Well put Hallie. Thanks as always for your thoughtful comment!